On April 20th / 21st 2018, I will be travelling across the globe on a whirlwind 24 hour mission to celebrate the release of the brand new The Alarm = Where The Two Rivers Meet = Extended Play 8 track – Mini Album, which is an official release exclusive to World Record Store Day 2018. The 24 hour Transatlantic Tour marks the start of a very exciting new era for all of us in the Alarm community, and I hope each and everyone of you will enter into the spirit of the times and step forward to take part in these new ‘Alarm’ adventures. By doing so, I’m hoping that on April 21st we can create a huge Alarm turnout at record stores around the world! I will be there in person and in as many places as possible, starting at the Listening Party in the UK on Friday April 20th [SOLD OUT], and I look forward to meeting some of you in person as I travel from the U.K. to New York and on to Los Angeles, California, all on the same day. I will be armed with an acoustic guitar and a camera, creating an ‘on the run’ video that will be shared online at the end of the undertaking. So please, come and be a part of the proceedings. It’s going to be a huge global event and The Alarm will be at the epicentre. I want the world to see what our community stands for and has achieved, since the sound of The Alarm was first heard. To show how, (with love, hope and strength), we have evolved and kept pace with all the challenges that each decade / new millennium has brought. Even if you can’t make it to a Record Store where I will be performing, there will still be lots of ways to get involved and be a part of the day. 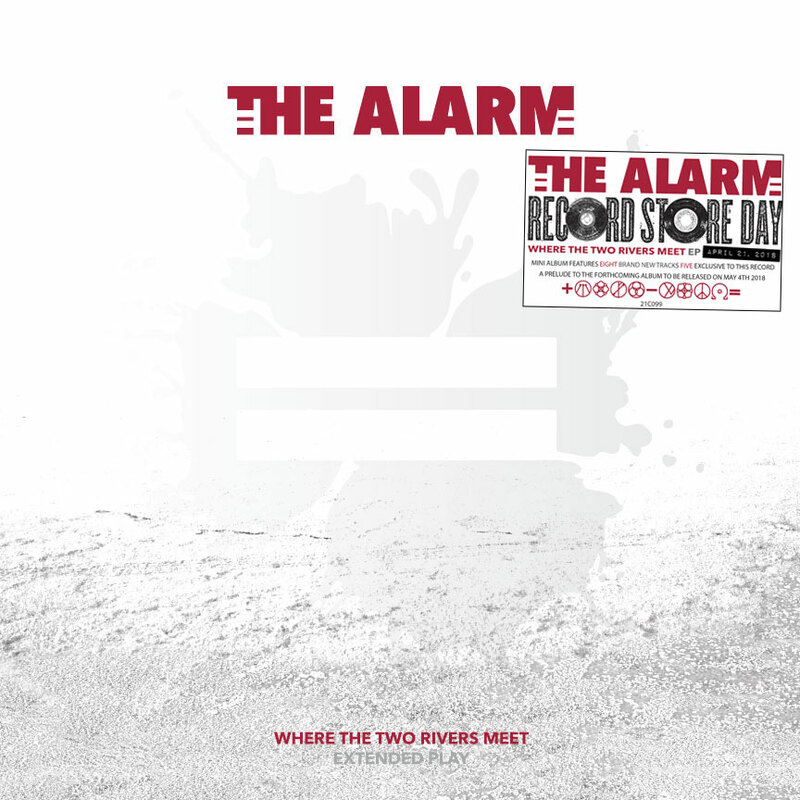 More information on that score, will be announced during the build up to April 20th / 21st itself, so it’s probably a good idea to make sure your favourite Alarm T-Shirt is clean and ready to be worn on Record Store Day! I’m so proud of the new music that is being made in the name of The Alarm right here and now. Born out of the intense and (up to now), almost private creativity of Blood Red Viral Black, the new release stands alongside some of the best work to carry the hallmark of The Alarm. So get out to the record stores on April 21st and make sure you get a copy…… It is a vital piece of music, that features an electric contribution from Billy Duffy of The Cult and songs that will only be available in this limited edition format which is in itself, a prelude to the brand new album being released globally on June 29th (Album information to be released very soon). Myself and the band are working hard to be in top form for the April / May shows in Dublin, Belfast, Glasgow, Holmfirth, New York, Los Angeles, London and at Merthyr Rising Festival. Along with the New European Tour for June, I can promise you that we will blow the roof, the doors and the fences down at each and every gig. A huge North American Tour is almost ready to be announced (some dates have slipped out onto the internet), and a great excitement is building through the re-appreciation of our past and more recent work as highlighted by the reissues of Eponymous 1981-1983, Declaration 1984-1985 and 21 [Redux]. The Tele-Visual History and social media stories of how The Alarm came to be, have been seen by all manner of people, some of whom where there at the beginning and have stayed the distance, along with many new converts who have climbed aboard following recent appearances at Glastonbury Festival, Carfest, Isle of Wight and the Vans Warped Tour. See you out there……. Where the Two Rivers Meet.